Paulo Moutinho is an ecologist interested in understanding the causes of deforestation in the Amazon and its consequences on biodiversity, climate change and inhabitants of the region. He has worked in the Amazon for 20 years and was co-founder of the Amazon Environmental Research Institute, or IPAM. He was also co-author of the compensated reduction of deforestation concept that contributed with the development of the mechanism known as REDD (Reducing Emissions from Deforestation and Forest Degradation). He participated actively for the establishment of the Amazon Fund and the Brazilian National Policy for Climate Change. 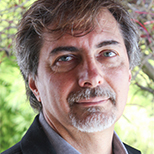 From 2006 to 2010 Moutinho served as an adjunct associate scientist at WHRC and over the last four years he acted as executive director of IPAM. He earned his M.Sc. and D.Sc. in Ecology from University of Campinas, Brazil. He is currently a senior scientist at IPAM, Brasilia, Brazil, and a distinguish policy fellow at The Woods Hole Research Center.